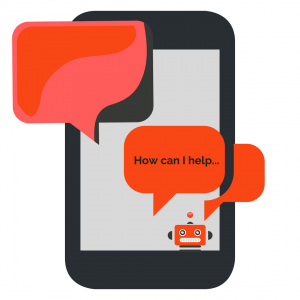 In our previous blog How to take those critical first steps towards implementing AI in the contact centre, we introduced Geomant chatbots as one of the key AI tools in the contact centre. The next question that a business would ask is how they can evaluate whether a chatbot is the right thing for them to start the journey of AI. In this blog we will review in more detail the cost aspect of chatbots and AI applications, and will also discuss and quantify some of the benefits they bring to businesses. What makes up the costs of a chatbot? First of all, we must understand what makes up the total cost of a chatbot. There are two aspects to it: one is the setup cost and the other is the ongoing cost. • How many intents² is the bot implementing? How many (data) entities are required? • How “intelligent” should be the conversational flow? How rich and engaging should be the user experience? • Would natural language understanding be required? Would the bot UI involve rich graphics, adaptive cards, unique visual elements and branding? • How many languages and how many interaction channels will be supported? • Will the bot communicate with the users only via text or will it support also speech, images, video, etc.? • What degree of integration with the enterprise systems and applications will be required? • Will we be using pre-built cognitive APIs or building custom AI models? The ongoing cost of the Bot is a monthly fee that covers the use of the chatbot hosting platform, break-fix support and any other optional services included in the subscription agreement. The monthly fee could be a fix flat rate per month or a variable amount as a pay-as-you-go model. • The volume of automated conversations or transactions handled by the bot. • The number and type of cognitive and other AI services and APIs that the bot consumes, e.g. natural language processing, speech recognition, image recognition, custom AI/machine learning models, etc. • The number of languages and digital interaction channels. • Other optional services, e.g. regularly training the bot, fine-tuning the language models and/or machine learning algorithms, etc. Now that we have an understanding of how the cost of a chatbot is determined, the next question is whether implementing a chatbot is – financially and otherwise – a sound investment for the business? To answer that, we first need to gain a clear view of all the benefits that an AI-powered chatbot can bring to the business versus its cost implications. "A bot handling 5,000 customer enquiries per month could generate cost savings of £13,500 monthly, or £162,000 annually." A common “when will my order arrive” enquiry may cost an average of £3 when answered by a human agent. A Conversational Bot, using natural language understanding and the ability to retrieve information from the company’s ordering system, could provide an automated answer for just 30p, which is only 10% of the agent’s cost. Assuming the bot handles 5,000 such enquiries per month, the cost saving could amount to £13,500 per month, or £162,000 annually. A chatbot can also become a powerful sales instrument to drive revenues up and dramatically increase conversion rates for online and mobile users. A Facebook Messenger Bot can provide consumers with a friendly and visually enriched conversational interface to search the store products and enable immediate purchases from their smartphones. A predictive bot can also intelligently suggest new purchases to returning consumers based on their buying patterns, increasing cross- and up-selling rates. To financially quantify this benefit, for a company with an annual online sales volume of £1 million pounds and a 5% average sales conversion rate, an increase of 0.5% in the conversion rate thanks to adding a webchat bot or messaging bot would report £100,000 in additional sales revenues. A chatbot opens up new digital touchpoints that enables customer acquisition and helps retention. Many consumers who prefer to self-serve would rather chat with a bot than talk to a live agent. Others will only engage with a brand who has digital presence and whom they can contact via the same messaging channels that they use to communicate with their peers. Customers will definitely appreciate the convenience of resolving their issues on the digital channel of their choice. A chatbot is always on and can instantly answer a customer’s question 24/7, without having to wait in a queue during office hours. Agents can also greatly benefit from a chatbot that handles simple, repetitive questions on their behalf, enabling them to focus on complex customer enquiries and develop their problem-solving skills. The Geomant chatbots come in four flavours to help companies start realizing the benefits of AI as early as possible, with an affordable and easy to implement FAQ bot, and then gradually move to more advanced, higher value conversational and transactional bots, based on the business need and the adoption pace of the new AI technologies by their customers. A basic QnA or FAQ Bot provides its users with automated responses to frequently asked questions in a natural, intuitive question-and-answer conversational style. An FAQ Bot is an ideal candidate for a first-time chatbot that can be built and deployed in days. The FAQ knowledge base can be easily populated with existing content from FAQ URLs, documents, product manuals, and other sources. Moreover, the setup fee for Geomant’s basic FAQ Bot is only a few thousand pounds and its ongoing costs could be as low as a few hundred pounds a month for a single channel and including up to 5000 QnA responses , while additional capacity can be added as needed. "The setup fee for Geomant's FAQ Bot is only a few thousand pounds and its ongoing costs could be as low as a few hundred pounds a month." Next in functionality and features comes the Conversational Bot, which in most cases will use language understanding services, such as Microsoft LUIS to engage with the customer in a more natural conversation, therefore enhancing the user experience. The setup cost of the Conversational Bot is dictated by the complexity of the use case and the conversational flow. One can choose from a number of pre-defined bot templates (e.g. product info bot, ordering bot) or we can build and train a custom language understanding model tailored to the specific customer’s requirements. In addition to text responses, visual elements and other media such as images, audio and video can also form part of the conversational flow and would add to the implementation effort. The ongoing cost would need to include the additional cost of the natural language processing API to understand and extract the intent and associated entities of each customer message. Depending on the use case and the conversational requirements, image recognition, face recognition and other cognitive services – and their cost – might also need to be considered. 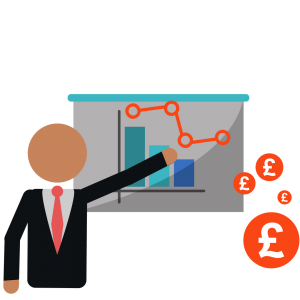 The typical build and setup cost of a product info bot that uses natural language understanding and queries a retail store products database would be around £12,000-18,000, plus a monthly fee of £1,500 to handle 5000 requests per month. If we want to enable the bot to perform automated queries and transactions as part of the interaction with the user, then we are talking about a Transactional Bot, and that will require building an integration with the relevant business applications and databases (e.g. ordering system). The effort developing, testing and supporting such integration would add to the costs of the Transactional Bot. In many cases, however, it could be possible to reuse existing interfaces with backend systems used, e.g. by interactive voice response (IVR) applications developed by Geomant or other third parties, and this might result in cost savings as the integration effort is reduced. If you are thinking at implementing a product ordering bot that enables payment directly through the bot, you should budget at least £25,000 to design, build and setup the bot, and about £2,000-£2,500 per month for the ongoing costs, again assuming 5000 transactions. Predictive Bots are on the higher end of the scale in terms of both value, complexity and cost, due to the fact that in most cases we would need to design, build and train a custom AI model or machine learning algorithm using data and specific data to the business context and process of the company. In addition, when implementing a Predictive Bot one has to consider the cost of the computing capacity required to train a custom machine learning model, which could take days or even weeks/months. At the same time, there is an increasing number of pre-trained models that are being made available by major AI vendors and also on open source platforms, which may significantly reduce the time and cost of implementing predictive AI algorithms. 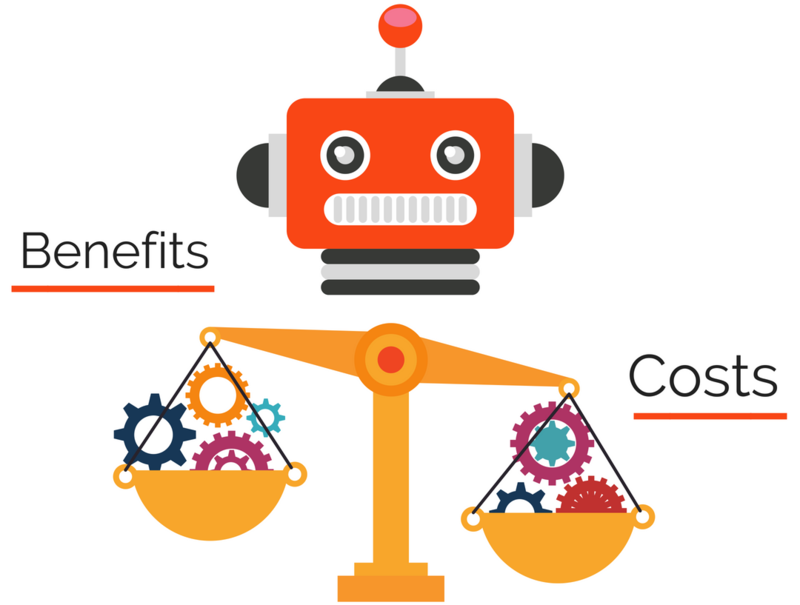 Costing a predictive bot is typically done on a case-by-case basis, preceded by an in-depth analysis of the specific business problem and the customer’s requirements. In the vast majority of cases the quantifiable and non-quantifiable benefits of a chatbot will surpass its implementation and ongoing costs. Businesses can choose from various types of bots based on the use case, the desired functionality and the available budget, with a better understanding of the factors that determine the trade-off between value, functionality and cost. "The quantifiable and non-quantifiable benefits of a chatbot will surpass its implementation and ongoing costs." There is no need to deploy a “superbot” from the very beginning. Instead, we recommend businesses start with a basic FAQ or Conversational Bot, deployed on the company website and/or Facebook page, giving customers time to become familiar with this new way of interacting with the company using digital channels, and adding new “intelligence” to the bot over time. To learn more about Geomant chatbots, request a demo or contact us. ¹Bot development best practices suggest that, to provide the best user experience, a bot should be designed to be good at doing one specific thing, i.e. implement a single use case. If your bot scope is too broad, consider implementing multiple bots, one for each specific use case. ²Examples of user intents are: “I want to book a flight from London to Paris for 2 people” or “what is my account balance”. Entities are the data associated with an intent, which are required to be able to execute that request, i.e. for the flight booking intent, the origin and destination, how many people are travelling, etc.